As 4K is trying to hit the market now, YouTube Producer Marque Brownlee shares users a 8K resolution demo, named "Ghost Towns". As a matter of fact, users get curious about what is 8K, how to download 8K video sample from YouTube for watching. 8K video, also known as 4320P, shows videos with the ultra high-definition resolution of 7680 × 4320, four times the horizontal and vertical resolution of the 1080p HDTV format, with sixteen times as many pixels overall. Thus the visual effect of 4320P content is also times better than 1080P and 4K. There is no reason to give up downloading 8K uhd video sample for a better optimal definition. MacX Video Converter Pro, a solid 8K video downloader, is regarded as the best all-in-one solution to download 8K (HEVC H.265) video sample, video and movies free from YouTube, FaceBook, Dailymotion, etc. 300+ video sharing sites in 7680 X 4320 resolution with whatever video format. And the 8K sample video downloading speed is also up to the mark. Its multi-core CPU up to 8 cores give you an 800% faster speed than single core CPU 8K downloader. What's better, the advanced Intel QSV tech allows UHD video capturing software to work with your computer hardware acceleration to further boost Intel CPU speed, leaving you more space to surf the Internet or play Ultra-HD videos, etc. Step 1: Free download the 8K video downloader (Windows version) and launch it. Click "YouTube" icon, following "Add Link" button. Copy the 8K video resolution URL from YouTube for example, and hit "paste & analyze" to load the video details automatically. Step 2: Choose the output format, resolution (7680×4320) and file size for the target 8K UHD video demo. Step 3: Select output folder. Specify the output folder path by clicking "Browse" button to save the downloaded 8K video sample. Step 4: Start 8K HEVC sample footage download. Hit "Download Now" to start to download 8K 4320P video from YouTube, Vimeo etc. Currently, the UHD 4320P sample videos are limited in number. 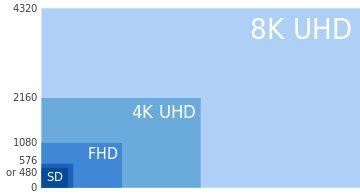 Surely, more 8K contents are coming in near future, but now, maybe you have no idea on where to download 8K HEVC sample videos to experience the next-gen standard. Though there is not many full-length 8K movies for download, YouTube has offered some 8K UHD footages. 1. Ghost Towns. The first 8K sample video available arrived on YouTube. As its name suggests, the video shows an abandoned town where no people live any more.This 8K demo video is shot by Neumann Films with the RED Epic Dragon 6K camera. Everything looks extremely realistic. However, while most users are curious about 8K standard, they find the FUHD+ 60fps really lags. And you need to get the 8K sample video download to get off stutters. >>>Throw the URL: https://www.youtube.com/watch?v=sLprVF6d7Ug to it. 2. Patagonia. The shot film explores the rough landscapes of southern Chile and Argentina. The video is shot by Martin with a super-high-resolution cameras. The video is made up by roughly 100,000 frames in 8K resolution, vividly unveiling the real beauty of the nature. Astonishing! If you have a big and high-resolution display, you're strongly suggested to get this 8K Ultra HD sample video download. 3. Peru 8K HDR 60FPS (FUHD). The latest 8K HEVC sample for free download on YouTube. Similar to Patagonia, this FUHD demo is about the people and landscapes of Peru. The video is shot in 8K UHD (4320p) and 60fps resolution with the brand new Red Helium 8K Super35mm sensor. It's so beautiful. If your bandwidth is not good enough, don't forget to capture the 8K resolution sample video. 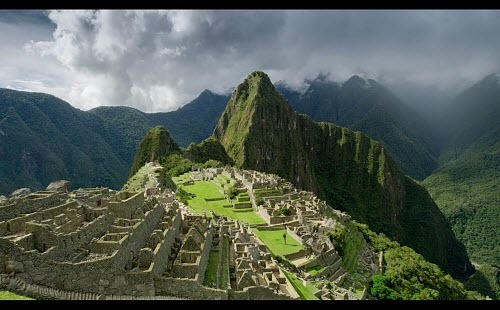 You will want to go to Peru after watching the video. Users are in a position to watch 4320P video on YouTube, as well as other 8K video players such as 5KPlayer in theory. But in view of the configuration of PC is not high enough to support the playing, users can hardly watch with perfect visual effect after 8K video sample download. By the way, MacX Video Converter Pro can also be treated as a 8K video compressor to compress 8K content video to 4K, 1080P, etc. resolution that your Mac or mobile devices are available to. Although 8K has a ways to go before becoming mainstream, where it is seeing use now on an increasing basis is in film restoration and mastering, where some movie studios, are taking select classic films and preserving them as 8K resolution digital files to be used in Blu-ray disc. Furthermore, UHD cameras and TVs/monitors gradually emerge as the development of the technology. AH-4800, a camera capable of recording in 8k resolution. Unveiled by Astro Design on April 6, 2013. The first 8K video downloader comes out. With the best 8K video downloader, you are free to download 8K UHD(7680×4320), 4K music videos movies free from YouTube and 300＋sites in a matter of seconds and compress 8K videos with original quality kept. 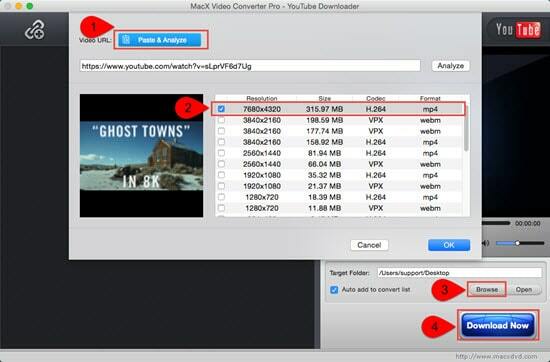 MacX Video Converter Pro is a feature-rich, high qualty, and incredibly fast video converter and downloader. It provides superfast solution to convert and download 8K 4K 1080P UHD/HD videos.